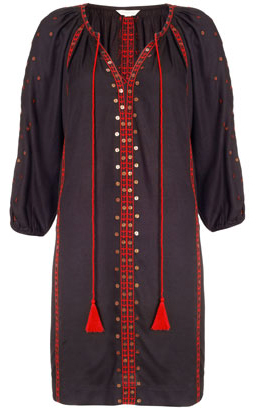 *I'd also wear this tunic well into winter, layered over a turtleneck and tucked into jeans. it is so cute, I love it! love the colors.